Both Realme and Honor recently announced smartphones in the mid-budget price bracket. 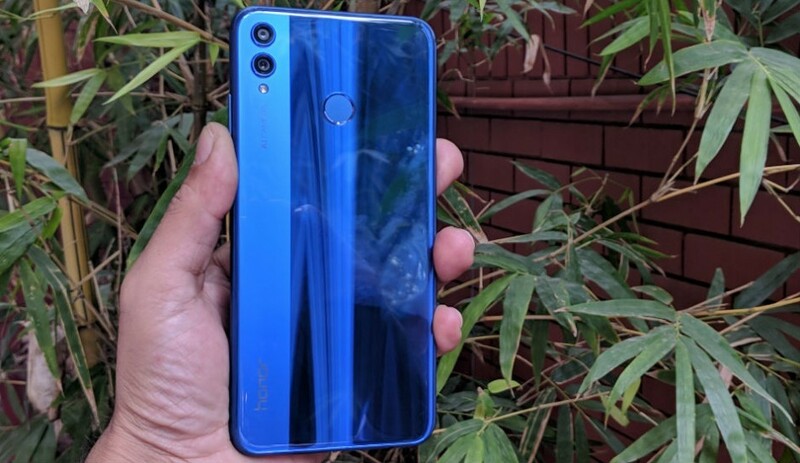 It’s interesting to see that Honor levelled up with its Chinese counterpart by introducing three variants of the Honor 8X to go up against the Realme 2 Pro and as it turns out, three variants on both sides are priced in a relatively fine-tuned catalogue. So, if you’re in the market for a smartphone that checks for a smartphone with mid-level specifications, a decent imaging option, a standout design and are limited to a budget between Rs 14,000 and Rs 19,000, then choosing one from either Realme 2 Pro or the Honor 8X will be a good option. But what’s different between these two devices? We’re here to figure that out. The Good: Large displays (6.3-6.5-inch), mid-range (Snapdragon 660 / Kirin 710) CPUs and high screen real estate ~ 84 percent on both phones. The Bad: Standard batteries (3500-3750mAh), no fast charging support, still stuck with micro USB ports. The Verdict: Style points for Honor 8X, Power points for Realme 2 Pro. The Realme 2 Pro, unlike its predecessors, takes a step away from diamond-like patterns and move more toward uniform colours with the Ice Lake, Blue Ocean and Black Sea variants. The rear frame is made of polycarbonate with a glossy finish that is slippery and attracts fingerprints and smudges. The glossy finish might fool a lot many for glass but is instead made of plastic. Realme claims the frame and back of the device will be resistant to heat and will be sturdy. While the Honor 8X in first glance looks similar to Huawei’s other budget smartphones, the Chinese company has surely cut a few corners. Though sturdy, the Honor smartphone features a plastic back instead of a Gorilla Glass. 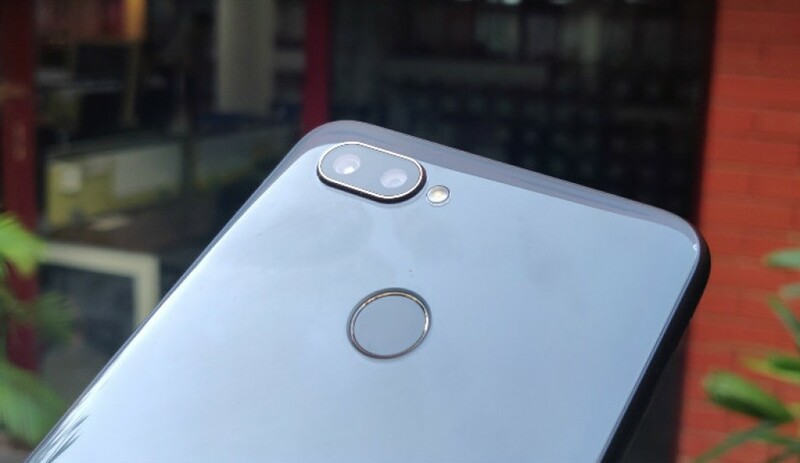 The rear panel consists of different textures with a darker less glossy portion adorning one-fourth of the rear plastic that also has the dual cameras. The rest of the phone features a glossier finish and has a circle at the centre for the fingerprint scanner. The device is available for purchase in Blue, Red, Black and Pink colours. Flipping the Hood 8X around, the first thing we notice is the bezel-trimming effort from Honor’s side to expand the screen real estate of the phone. 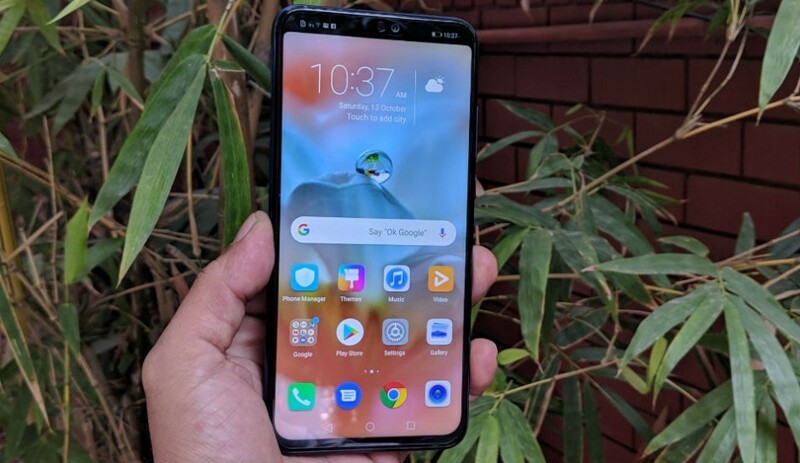 This is also helped by the small notch at the top of the 6.5-inch Full HD+ IPS LCD display which has a resolution of 1080 x 2340 pixels and an aspect ratio of 19.5:9. While the display is larger on its own, the Honor 8X offers more screen real-estate with its 84.4 percent STB ratio due to its thinner chin where Honor no longer adds its branding. The Realme 2 Pro features a 6.3-inch Full HD+ display with a screen resolution of 2340 x 1080 pixels and 19:9 aspect ratio. 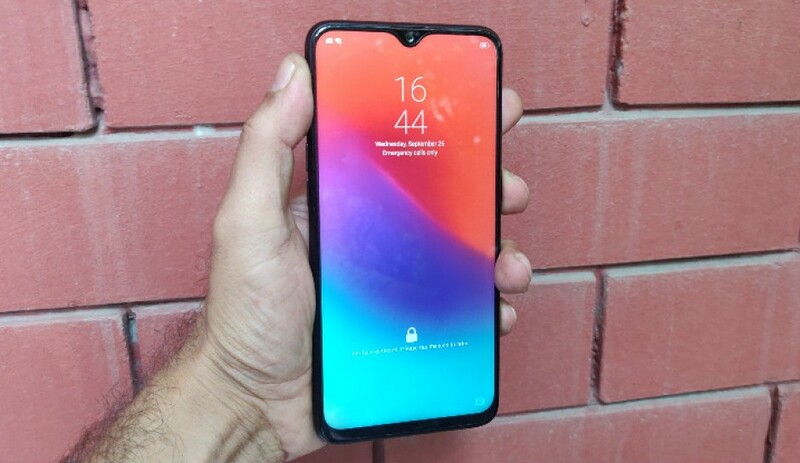 Realme has opted for a waterdrop notch at the front which offers a premium look that has its fair share of resemblance with Oppo F9. The notch houses front-facing camera and just above that is the earpiece. The water-drop notch has once again proved to be less intrusive than large notches like the one on Realme 2, offering an STB ratio of 84 percent. Additionally, the Realme 2 Pro comes with Corning Gorilla Glass 3 protection in case of accidental drops. The Realme 2 Pro is powered by an octa-core Qualcomm Snapdragon 660 processor along with Adreno 512 GPU. The phone comes in different memory configurations including a 4GB RAM + 64GB storage option, 6GB RAM + 64GB storage variant and 8GB RAM + 128GB storage model. That said, the Realme 2 Pro is providing a relatively good processor in this price range, where most manufacturers cram in the much cheaper Snapdragon 636 chip on their devices. Honor 8X runs Huawei’s relatively recent octa-core Kirin 710 chipset with 4x2.2 GHz Cortex-A73 and 4x1.7 GHz Cortex-A53 units. The phone comes with 4GB RAM in the base variant and can be configured to up to 6GB RAM and 128GB storage. The phone can perform well as a mid-range which is daily rough usage and moderate gaming and it’s probably the Mali-G51 MP4 graphics unit which is the weakest link of the smartphone. During initial testing, AnTuTu benchmarks showed more points for the Realme 2 Pro, while GeekBench displayed higher scores for the Honor 8X, both in single-core and multi-core testing. Huawei’s GPU Turbo technology will surely make the in-game experience smoother with hardware + software optimisation on the Honor 8X. EMUI 8.2 runs on the Honor 8X which is essentially based on Android 8.1 Oreo. The UI comes loaded with some interesting features and offers users an option to choose between iOS-like home screen style or an app drawer. While the customisable skin goes deep enough to occupy a substantial memory space, GPU Turbo helps in optimising the performance of the device. There are AI enhancements in the camera which like on any other Honor/Huawei phone offers algorithm generated modifications when clicking photos. The Realme device runs on a similarly customised ColorOS 5.2, based on Android 8.1 Oreo. All Google services are pre-installed with a launched which boasts of n AI engine with real-time translation, fast Face Unlock, split-screen and navigation gestures. The AI engine uses behaviour models for faster app launches and displays relevant information like quick shortcuts, weather, package tracking, flight info and appointments; all by swiping right from the homescreen. But most of the users have complained about bugs in Colour OS since Realme 1. For optics, Realme 2 Pro features a dual-camera setup at the back, which comes with a combination of 16-megapixel primary sensor with ½.8-inch Sony IMX398 sensor with f/1.7 aperture and 1.12-micron pixel size, while the second sensor is used to create a bokeh effect. For the front, the company has employed 16-megapixel shooter for selfies and video calling. Photos from the Realme 2 Pro came out as nicely sharp with plenty of resolved detail, excellent contrast, and accurate colours with the best-in-class performance on a smartphone camera when considering low-light photography. Portrait mode works well too with good subject separation and a polished bokeh effect. Primary imaging on the Honor 8X is possible through a dual camera setup at the back which consists of a 20MP, f/1.8, 27mm equivalent wide-angle lens alongside a 2MP depth sensor. The portrait mode through the bokeh effect from the 2MP sensor seems to work almost every time with the main lens capturing wider details in sharp detail and colour saturation. Booting up the camera app instantly kicks in the AI camera algorithms which will be able to detect both objects and scenes between 500+ scenes, spread across 22 categories. Honor has also put a 16MP, f/2.0, fixed-focus snapper on the front that offers a rather toned down set of images compared to the one at the back. Realme 2 Pro is backed by a 3500mAh battery with no fast charging support, the latter being the case with the Honor 8X as well. However, the 8X offers a slightly larger 3,750mAh battery offering the idea of a whole day of juice on a single charge. The Realme 2 Pro ticks all the checkpoints if you’re in the market for an all-rounder that is slighly cheaper. It offers a large screen with a tiny notch, plain but uniquely coloured finish, a powerful set of cameras and decent internals to go with for daily usage. We could have wished for a cleaner interface and larger batteries and that’s for Realme to work on. On the other hand, the Honor 8X is the next best alternative if you wish to have a stylish device that also performs well with a larger battery to go with. Honor 8X vs Mi A2: How far is Huawei willing to go to tackle Xiaomi’s budget lineup?